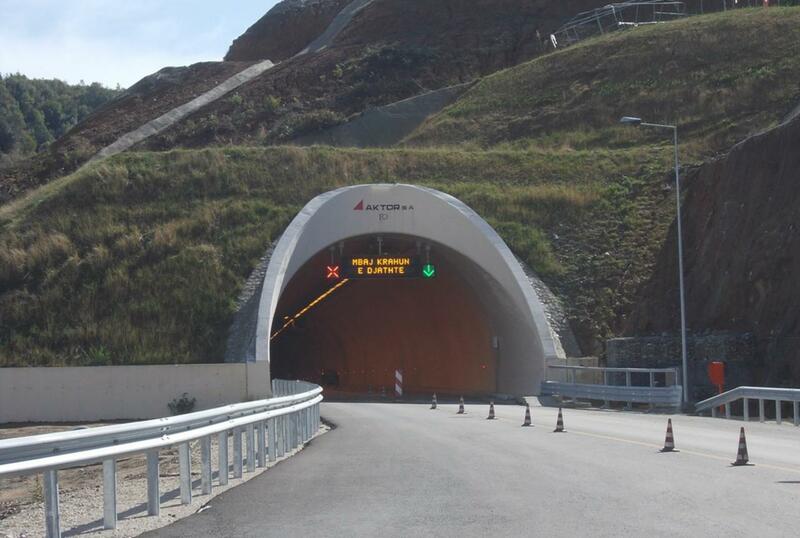 Construction and 1 year Operation & Maintenance of twin bore tunnel of a length of 2.320,60 m for the Left bore and 2.580,30 for the Right bore as part of the New Highway Tirana – Elbasan. 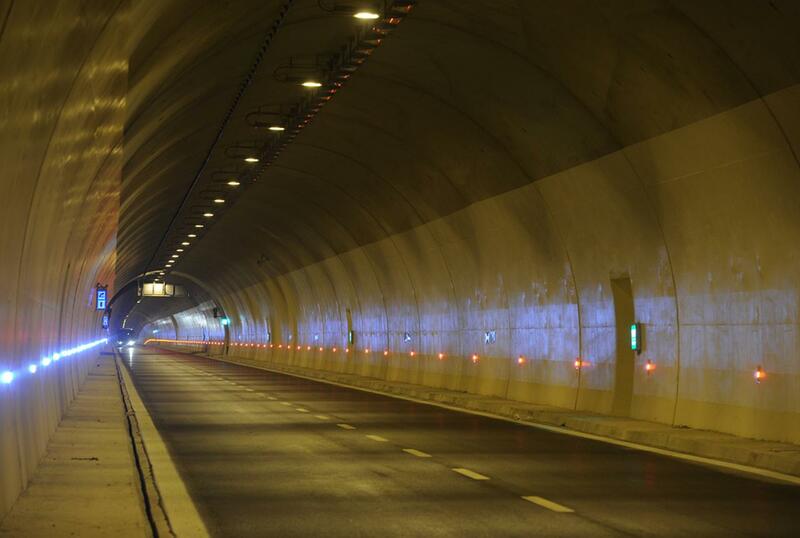 The tunnelling methodology used for the excavation of tunnel is the NATM - “Observational Method”. 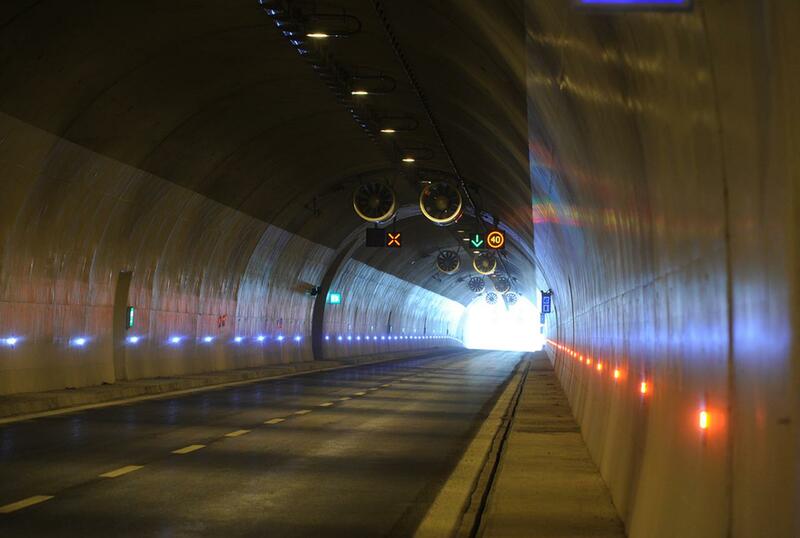 The tunnel is a Dual tunnel 2x2 lane motorway with total length 4.900,90m and internal radius 5,25 m, 2 Nos Vehicular Cross Passages ,3 Nos Pedestrian Cross Passages ,4 Nos Lay-bys , 2 Nos Control Service Buildings,1 building for operation and maintenance, 3 Nos settling tanks, 1 pump station , Closed Circuit Television (CCTV), Traffic management system (TMS) equipment controlled / monitored by Tunnel SCADA system, Emergency Roadside Telephone (ERTs) system for two-way communication between the tunnel and the Tunnel Control Centre (TCC) , Tunnel's earthing network ,lighting , radio communication system and infrastructures , longitudinal ventilation with 32 Jet-funs , fire fighting network with Tunnel Emergency Campinets (TECs),portable fire extinguishers and connection with pump station's tank, automatic fire detection system , two electricity lines transferring electricity from Elbasan City , hydraulic works ,manholes ,sidewalks, pavement , antireflective paint , signaling etc.